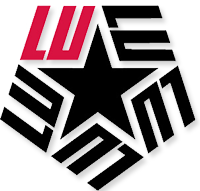 The STEM Students of Color Alliance is hosting an informational forum, tomorrow, at 2 p.m. in 119 Lucas Engineering to discuss the study and employment needs of students of color within STEM fields. The organization was started by Jacqueline Jensen-Vallin, associate professor of mathematics. Jensen-Vallin noticed that students of color did not persist, as well as other groups, in mathematics or engineering. There are many theories as to why students of color are not persisting in the STEM fields, she said, but the challenges vary among students and institutions. The goals of the program are to help students of color succeed at Lamar by giving them a place where they can feel included. The organization seeks to change the expectation for students and faculty. STEM Students of Color Alliance provides faculty members of color a chance to speak at events so that their achievements can be recognized. The STEM Students of Color Alliance provides students with a mentor to help students work toward their goals. Jensen-Vallin said that she personally knows how daunting it can be to ask for help when problems arise. 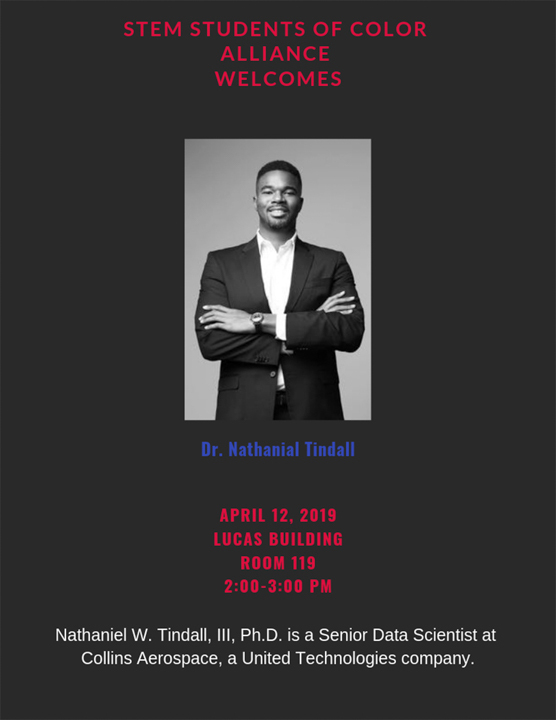 Nathaniel Tindall III, senior data scientist at Collins Aerospace, will be a speaker at the event. As a man of color who has achieved professional accolades in the STEM fields, he will talk about the struggles he has faced. He said it is important to talk about not only his successes, but also his failures. Tindall said he wants to keep the talk vulnerable, honest and real. Alicia Prieto Langarica, associate professor of math at Youngstown State University and previous forum guest speaker, said she had her credentials questioned simply because of her ethnic background and the color of her skin. Langarica said mindsets like those are why an organization like the STEM Students of Color Alliance is so important. Langarica said that the school system was initially set up for white males, who were going to do nothing but work. The organization is to help others succeed in a system that was not created for them, she said. The organization provides students with people who look like them and have already gone through what they are going through, to provide encouragement during challenging times. Langarica said that there is a misconception of how many people can succeed. That there can only be the one black mathematician or the one Hispanic mathematician. The sense of community this program provides also aims to let students know that there is strength in numbers, she said. Jensen-Vallin said that they have support to continue the program for next year and hope to do more, but she would like feedback and input from students. Everyone, regardless of ethnicity or race, is welcome to join the organization. For more information, contact Jensen-Vallin at 880-7859, or Jacqueline.jensen@lamar.edu.